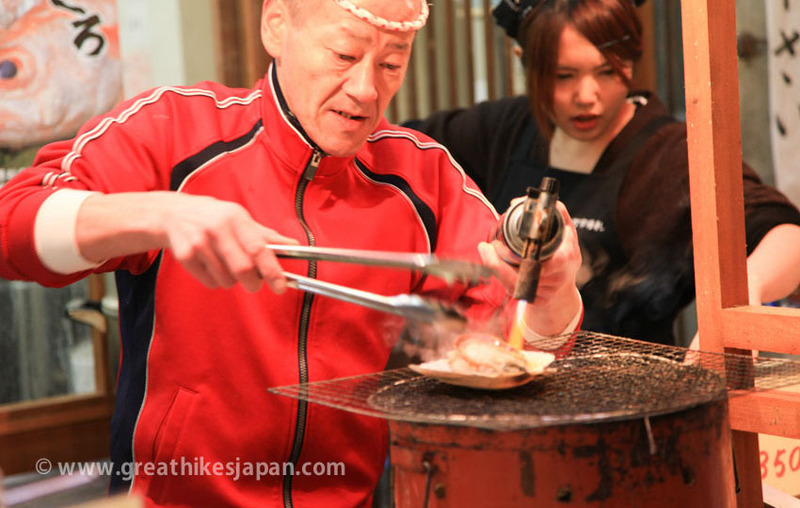 The Shinetsu Trail is our main focus on this trip. 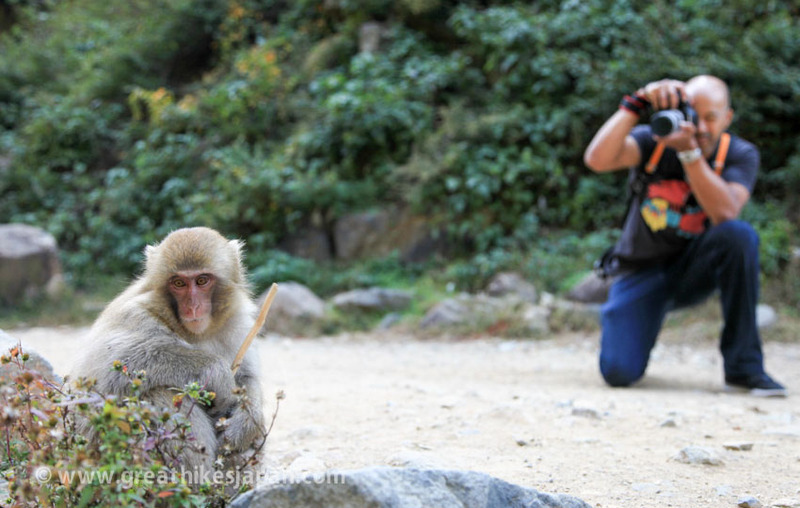 However, in addition to the multi-day hike, this full package tour offers a variety of experiences, including Tokyo, the famous bullet train, visiting the Snow Monkey Park, staying in ‘Ryokans’ (Japanese-style inns) and relaxing in a village renowned for its hot springs. We are committed to offering an unparalleled opportunity to enjoy a unique hiking experience combined with other must-do and must-see attractions in Japan, a fascinating and culturally diverse country. 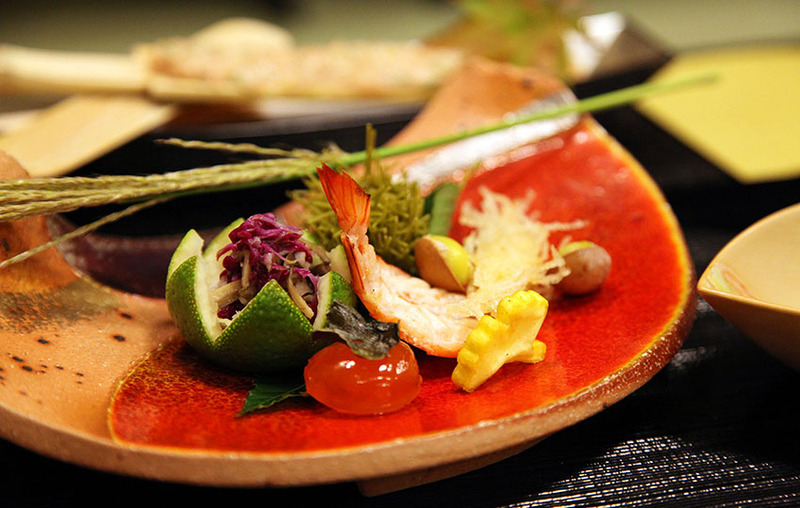 A complimentary tour in Tokyo, Dine at a fine Japanese-style restaurant, learn dining etiquette and how to use chopsticks! You will need to make your own way to the arranged hotel in Tokyo in time for the tour briefing at 5.00pm. 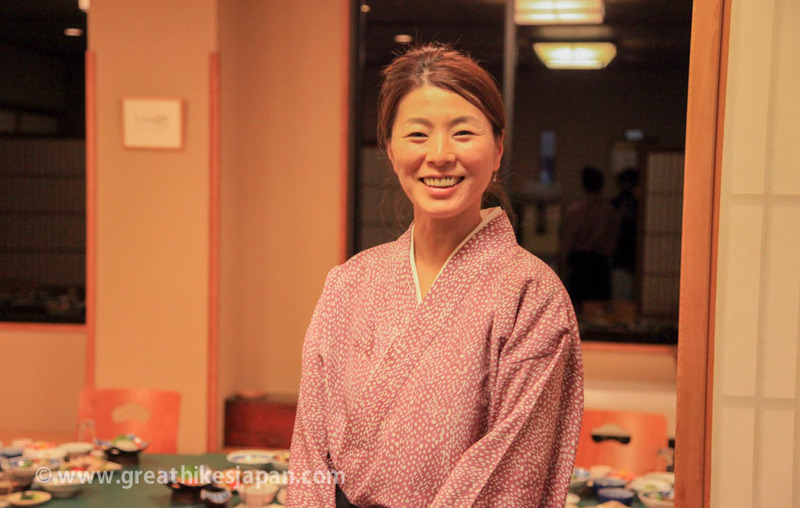 Upon arrival at the arranged hotel in Tokyo, you will be met by your tour leader in the lobby. 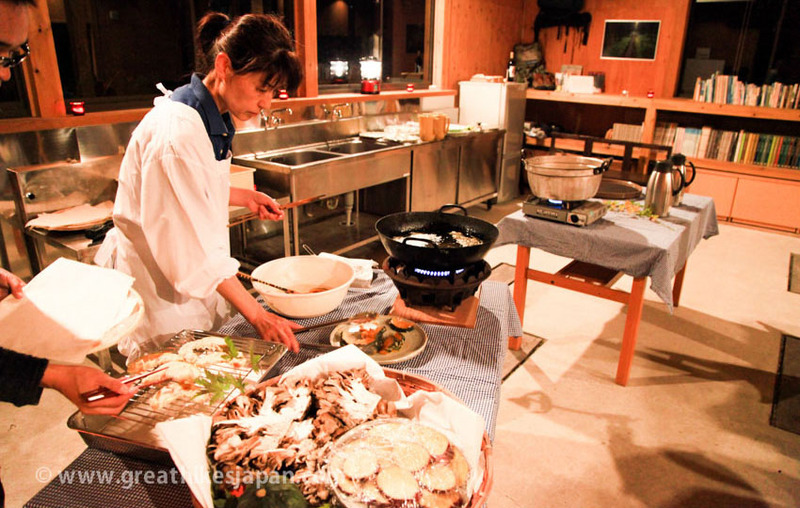 In the evening, we will go for a group dinner. There, we will get to know each other and experience our first taste of Japanese culture. A complimentary tour in Tokyo. 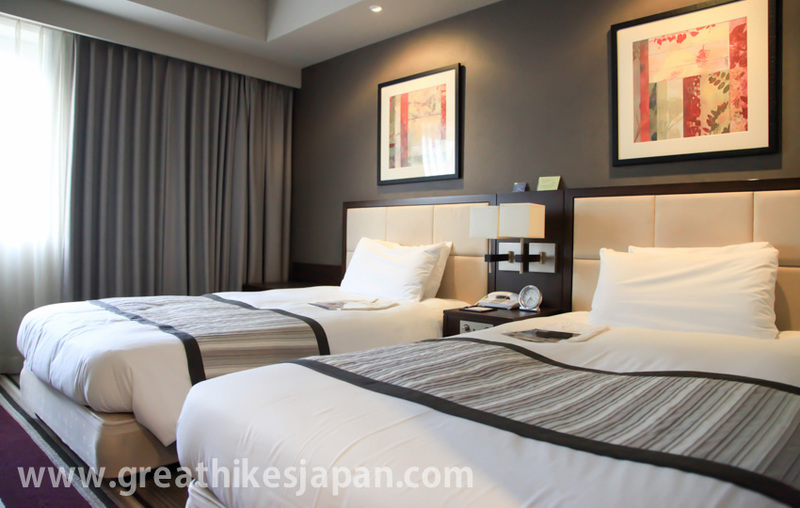 If you are planning to arrive in Tokyo a day before the tour departure date, you will have a bit more time to recover from jet lag. And to make the most of your stay in Tokyo, your tour leader offers you a complimentary tour before the briefing at 5:00pm on Day One. 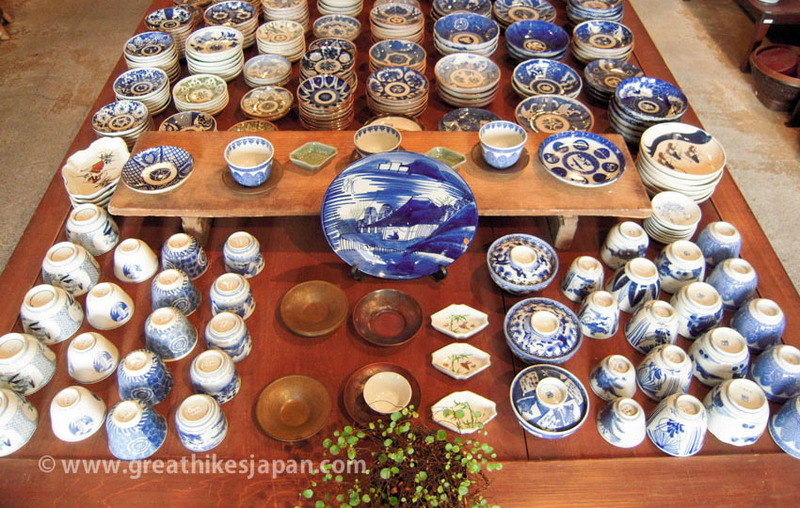 Explore temple town in Iiyama and blend in with the mountain community. 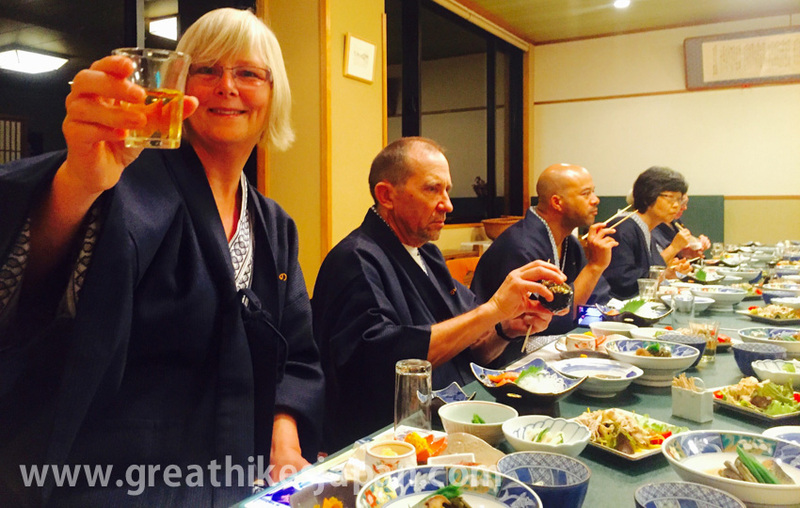 Bullet Train ride, Iiyama city tour, Sake tasting, iiyama Castle ruins, Martial arts gym, amazing food and drink prepared by a local chef. 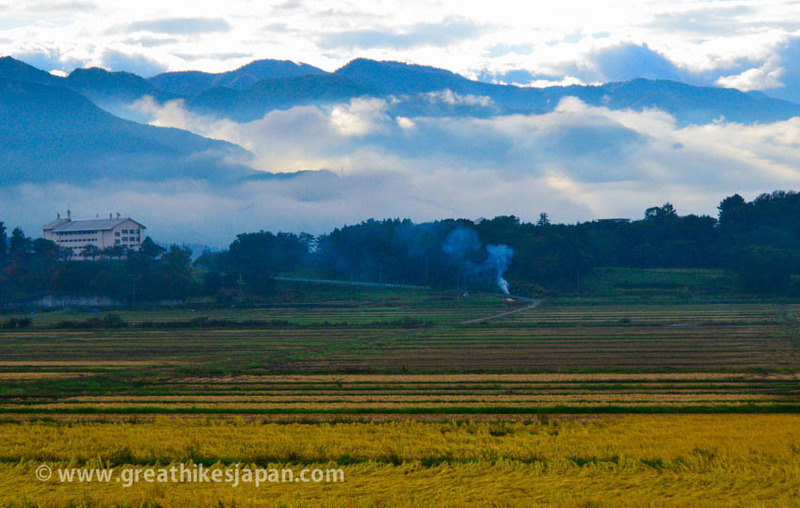 We leave Tokyo behind and travel to Iiyama by Shinkansen, the famous bullet train. We will speed through the country to arrive in Iiyama, Nagano in 2 hours. 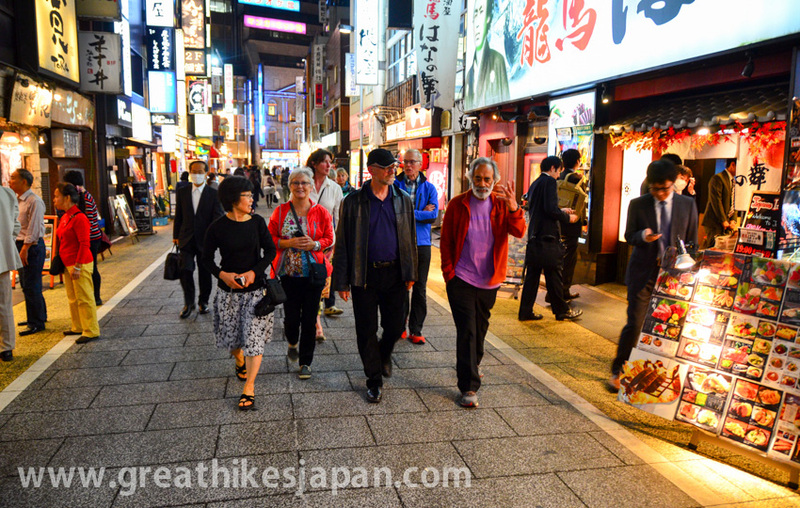 After checking our suitcases at the train station, we will take a guided walk tour to visit Teramachi, temple town. There are many temples in Iiyama city, these temples were built at the same time when the castle environs was established specifically protect the castle environs. The castle environs in Japan are called “Teramachi” (Temple town). Pick your most enticing option for lunch, or ask your tour leader to recommend and arrange one for you. 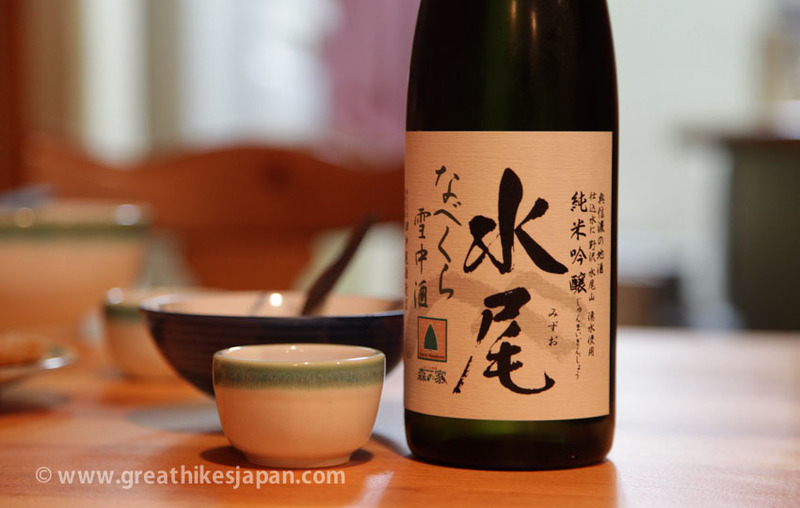 After lunch, we will continue our tour with a visit at local Sake brewery for tasting, Iiyama Castle ruins, Martial arts gym to learn about Bushido. After the tour, we take a short local train ride we will be picked up by private van. 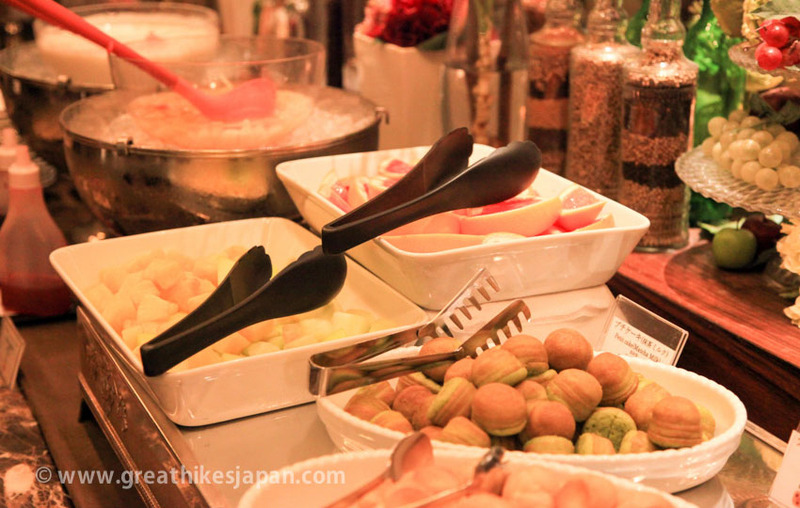 We head to our accommodation to kick-off the hiking portion of the trip with an amazing feast of food and drink prepared by a private chef. Autumn colours, soak in hot springs, Oldest beech tree. 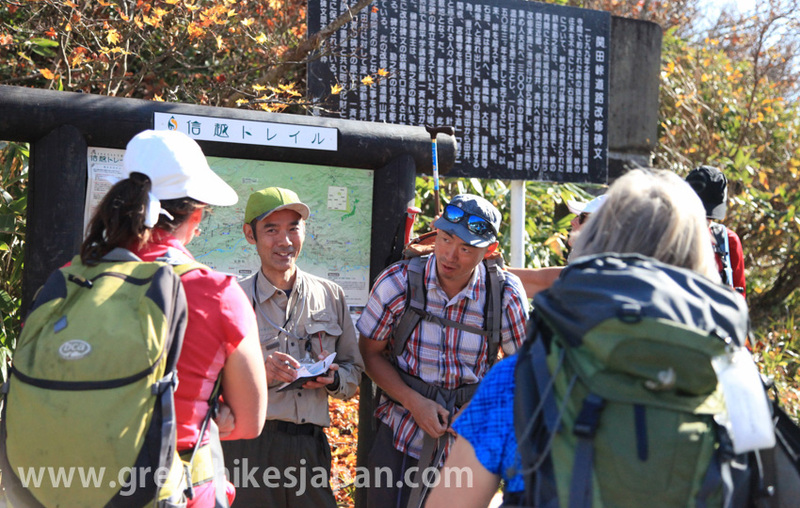 Starting the trail we will be joined by an additional local guide from the Shinetsu Trail Club. This guide has an intimate knowledge of the area and, in combination with your tour leader, will make your trip even more interesting. Today we walk through a forest composed almost completely of beech trees. This part of the trail features many very large and majestic trees. 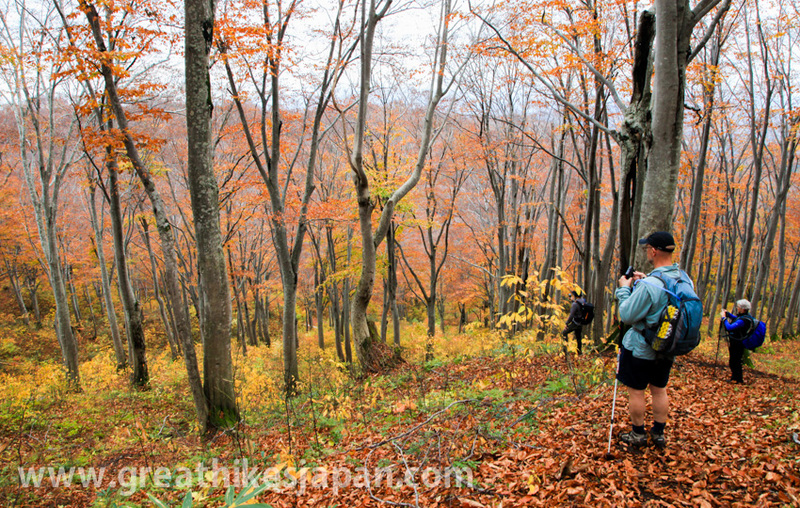 On the hike you will also see some distinctive curved beech trees that illustrate how heavy the snowfall can be in this area and explain why only beech trees are soft and strong enough to thrive in this climate. 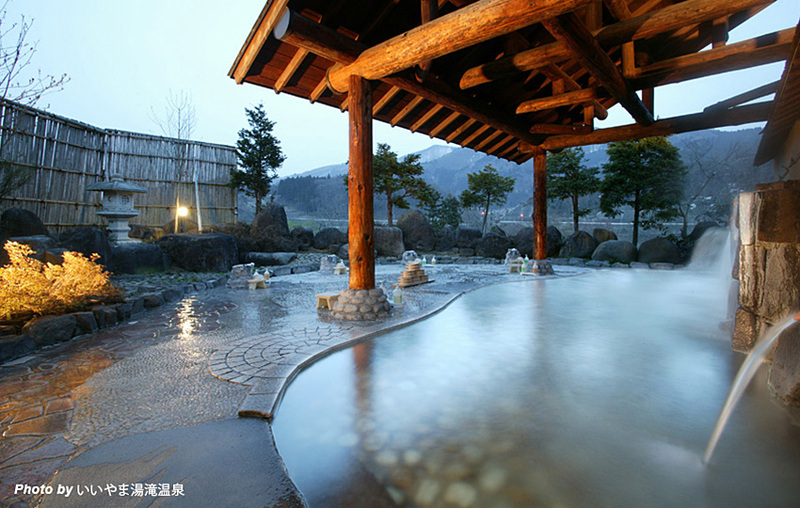 We come back to the same accommodation and we will visit a hot springs resort for soaking in hot springs and dinner. Dinner is not included. 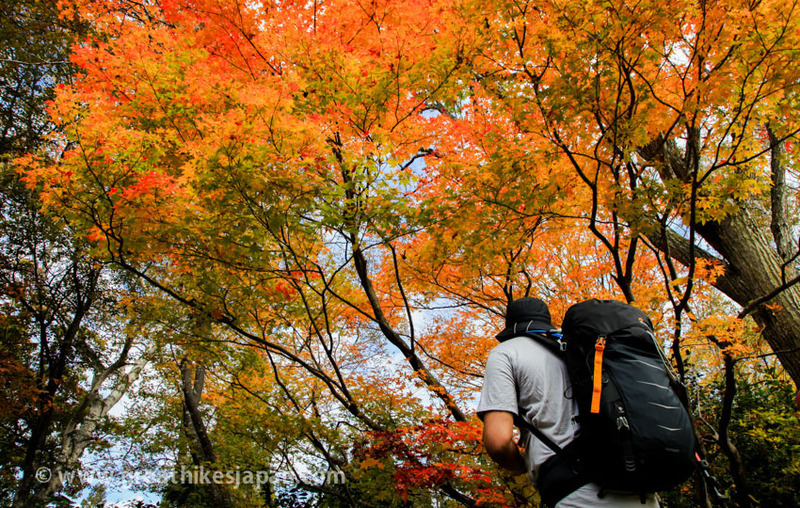 Autumn colours, a first class Kaiseki dinner in Ryokan, Japanese-style lodging, soak in hot springs . We travel along the oldest part of the entire trail today. Busaka-Pass and Nonoumi-Pass have been in use since the Nara Period (AD 710~) for trade and travel. 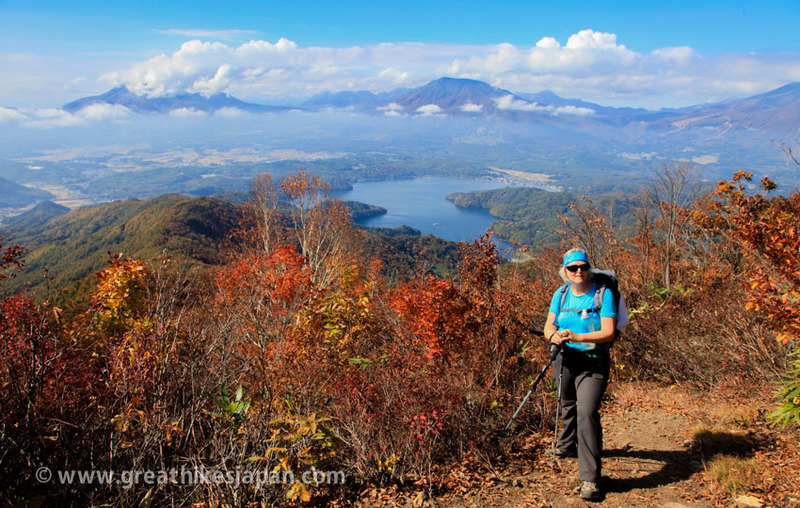 It is one of the most scenic parts of the trail and features some short steep ascents and descents. 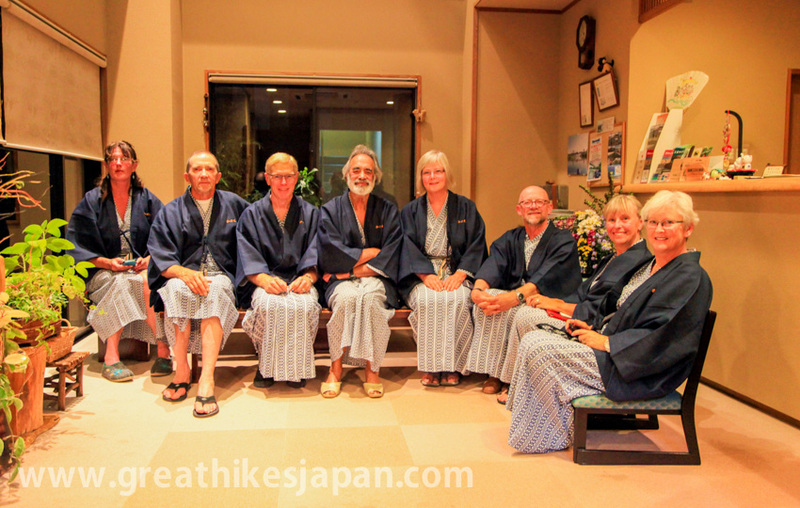 Our hike today ends at the end of the Shinetsu Trail where our host will meet us and take us to a luxury traditional Ryokan in Onsen village which is renowned for its hot springs. 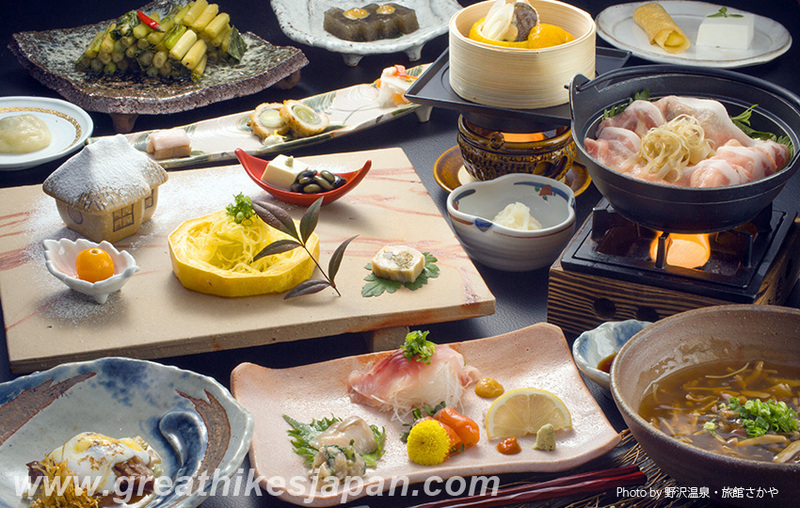 Dinner tonight will be a Washoku Kaiseki which is a first-class Japanese dinner. 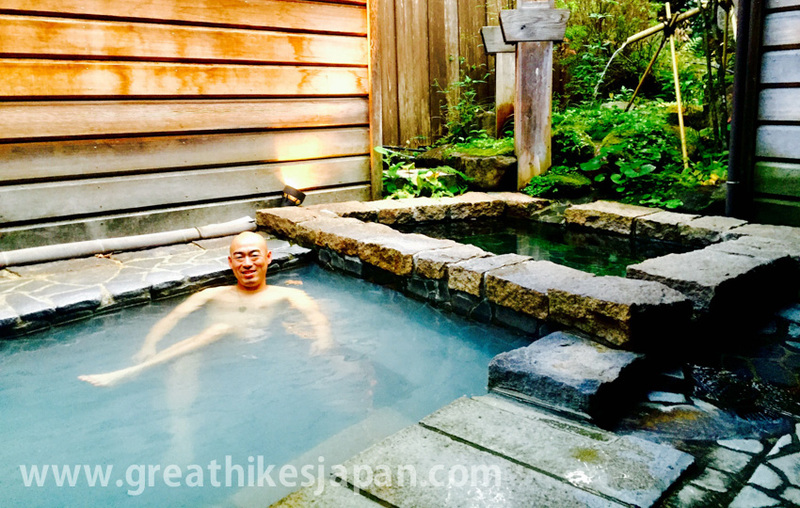 Mountain hamlet Kosuge, historical walk, cedar forest, ancient stone steps,Free time,Hot springs . 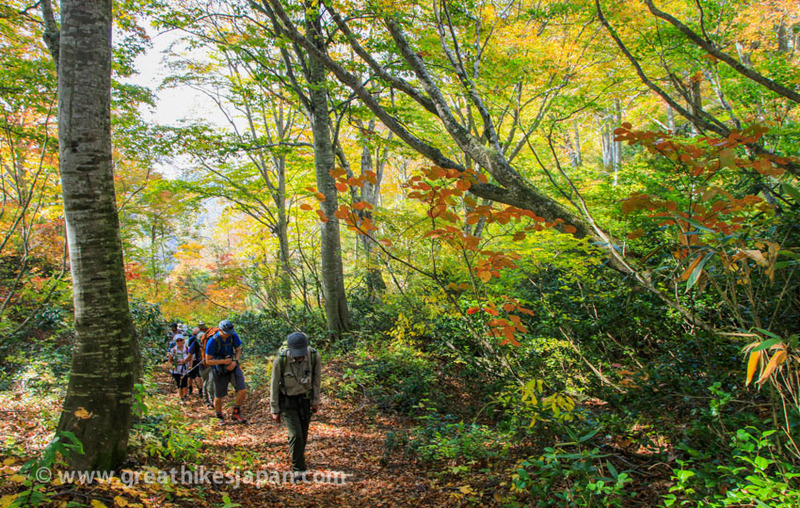 We hike historical trail today in Kusuge. 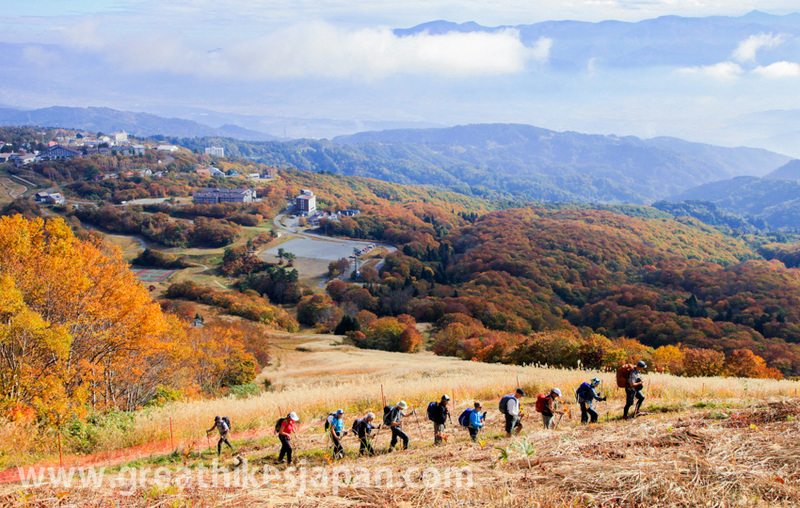 We start our hike from the village of Kosuge, previously known as one of northern Nagano’s three sacred places for mountain ascetics. 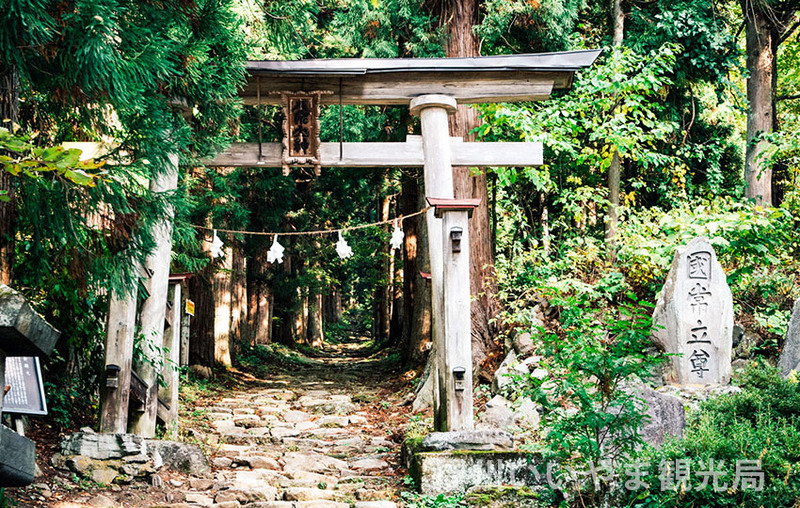 We hike through a quiet cedar forest, the trail leads you up to Kosuge Shrine. The shrine relates to Japanese mountain asceticism in the Shugendo sect, which combines elements of Shintoism and Buddhism. 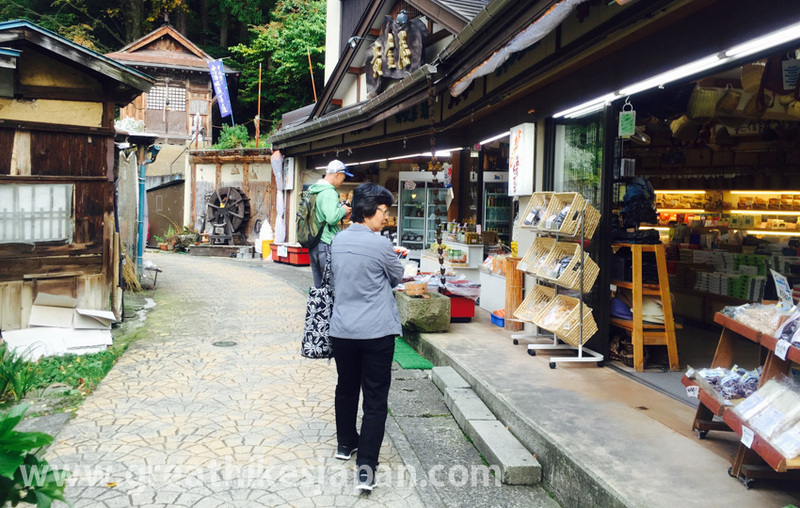 The hike starts in a post-temple town, there used to be about 40 temple lodgings for pilgrims to train and stay. 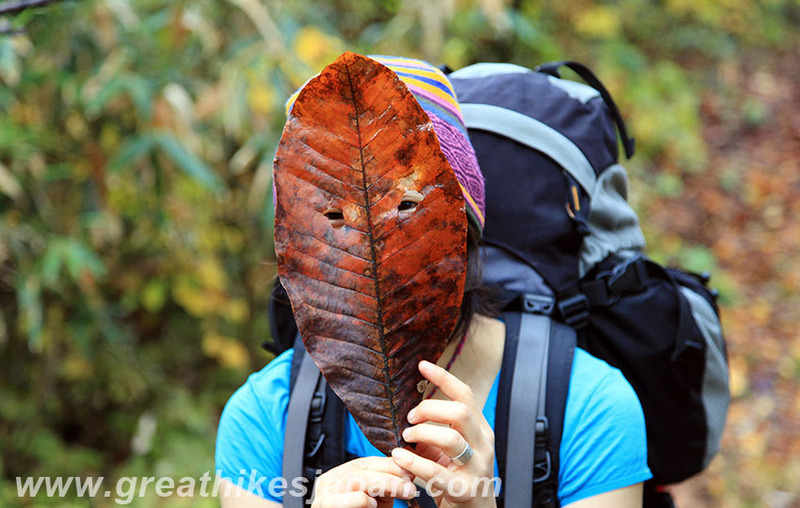 Walking through the village and hiking up the ancient trail with a local guide who has an extensive knowledge of the area will make your trip even more interesting. 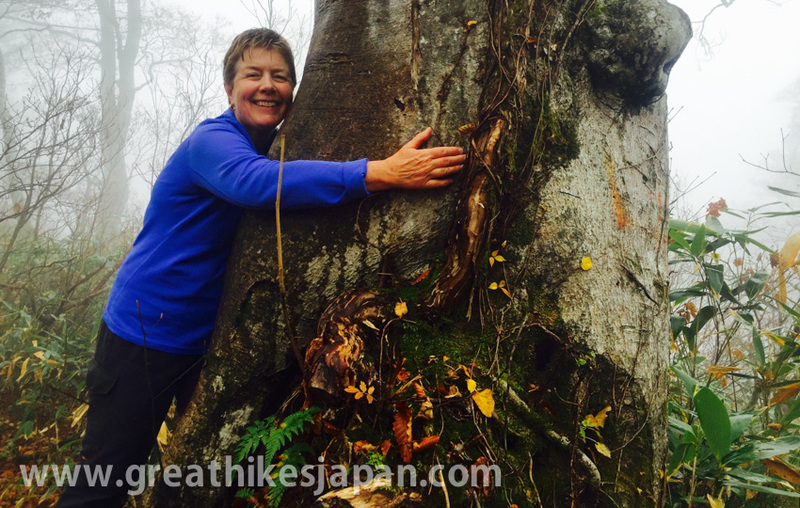 The trail to the inner shrine is lined with towering Japanese cedars, said to be 300 years old, and large moss covered boulders. A warlord Kenshin’s rule encompassed the entire Kosuge area and he conducted prayer for victory in his battles against his enemies. 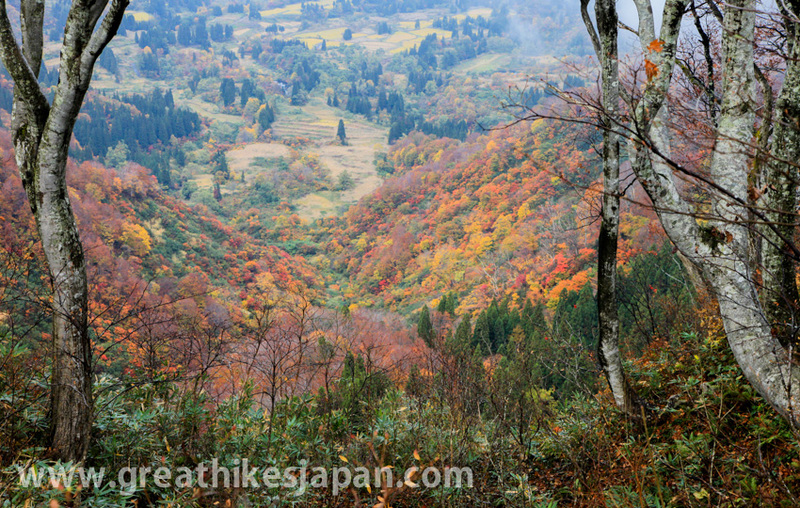 After the hike we will return to Nozawa-Onsen and the rest of the day is yours. 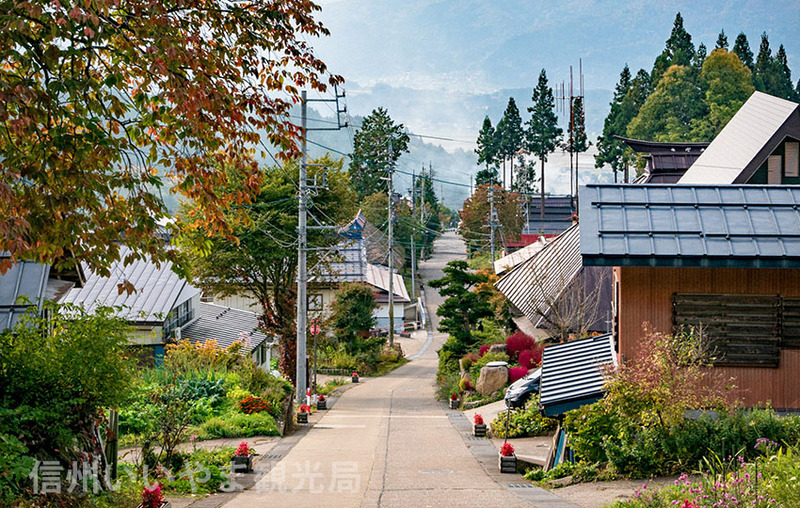 Enjoy your free time exploring this fascinating village. Dinner is on your own tonight, but your tour leader will be able to recommend several choices for the night. 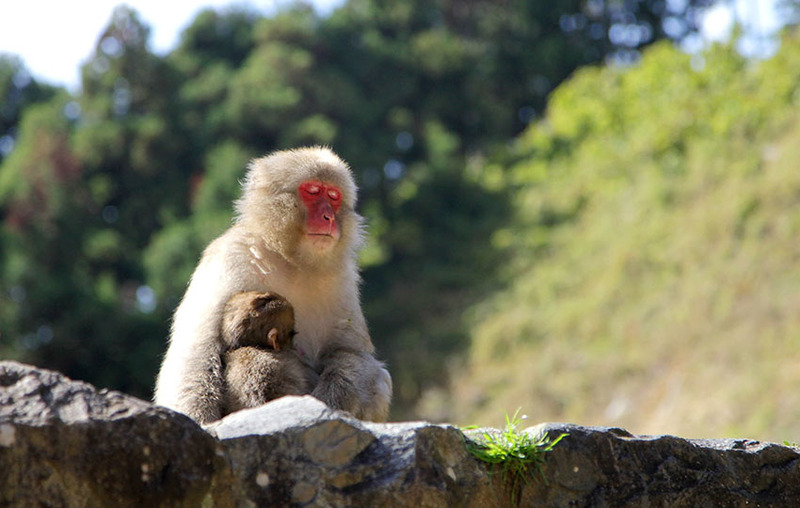 Snow Monkey Tour, Obuse city, Hokusai Museum, Ukiyo-e woodblock prints. We will take a day tour to visit the famous hot spring snow monkeys and Hokusai Museum in Obuse. 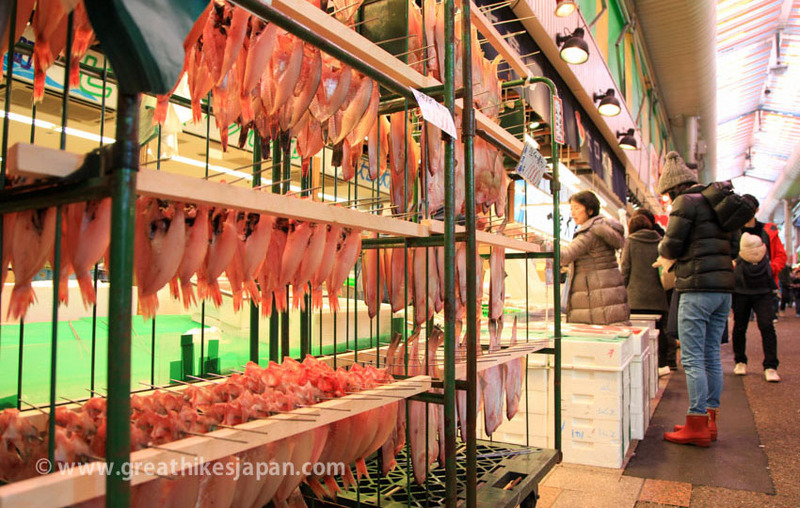 They are a must-see attraction in the area and will be a highlight of your trip. 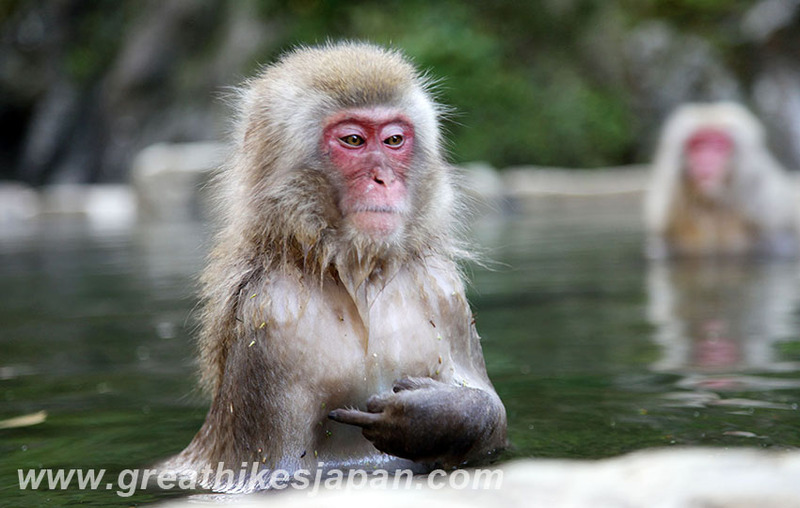 For snow monkeys, since making the front page of LIFE magazine in 1970, these monkeys, who bathe in the hot springs in the area, have become one of the biggest attractions for tourists. Although it is a bit early in the season to see the monkeys in full force, it is still a more-than-worthwhile visit. On the way to our accommodation, we will make a stop in Obuse city to visit Hokusai Museum. 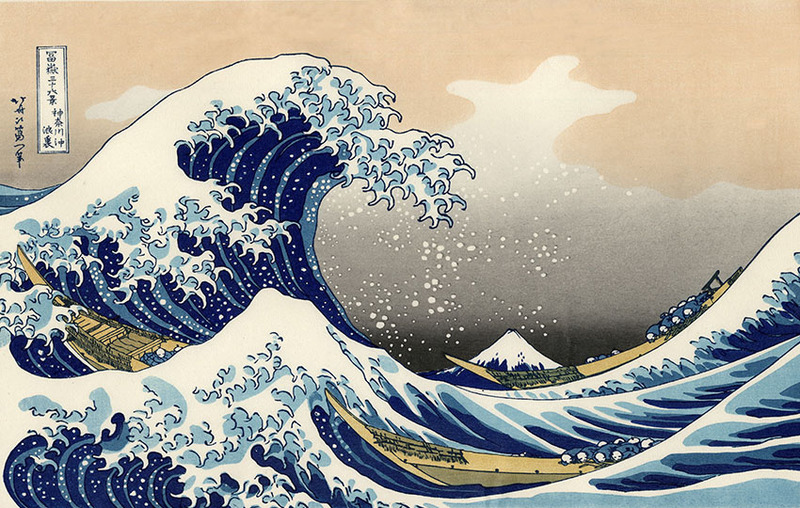 The museum displays the works of famed ukiyo-e woodblock print artist Hokusai. The artist lived out the last years of his life here in the quaint town of Obuse, under the patronage of a local wealthy merchant. Besides woodblock prints, the museum also houses two parade floats that feature artwork by Hokusai on their ceilings. 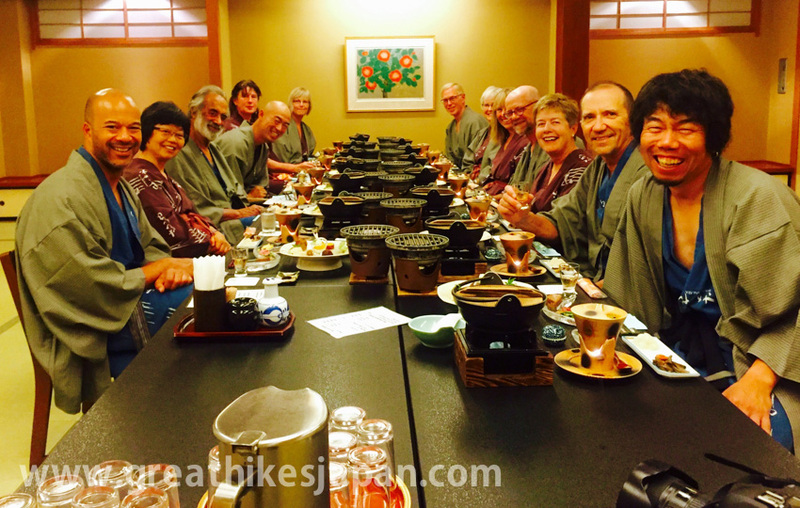 Trail highpoint, soak in hot springs, Sasa-sushi, Washoku Kaiseki dinner, family run-heart warming ryokan. This trail gets the steep stuff out of the way about one hour after starting, it is a fairly sustained climb takes us to the top of Mount Madarao (1382 meters), the highest point of the trail. 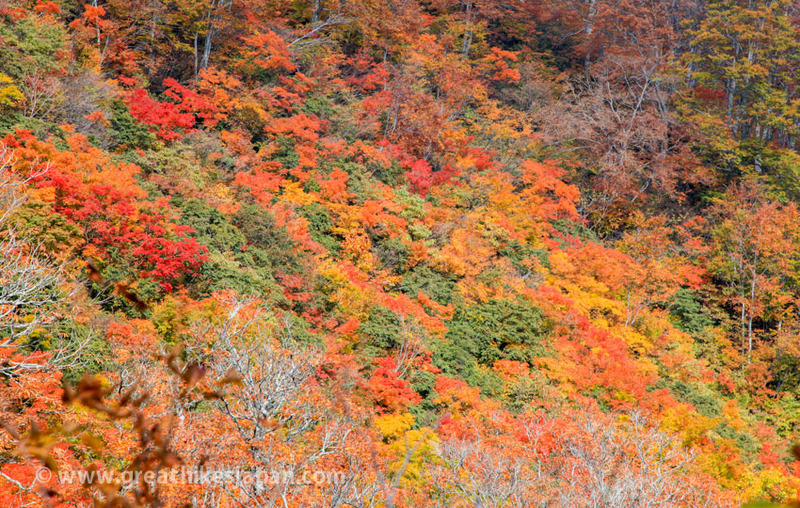 We continue onto another mountain, Mount Daimyojin only 10 minutes from Mount Madarao. Resting from the climb, we enjoy stunning summit views. 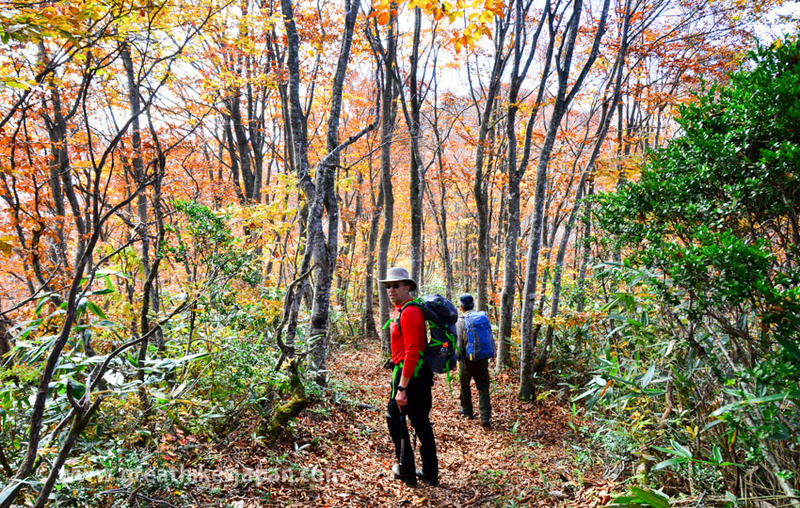 Heading on we walk through beautiful beech forests intermingled with Japanese oak, maples and birches. We take our time to manage fairly steep down hill to the end. 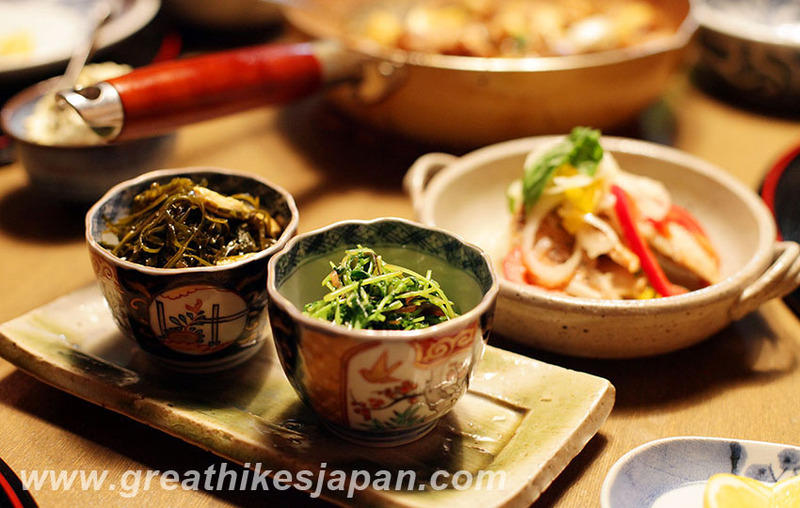 We come back to our accommodation to wrap up our hiking portion of the tour with an amazing feast of food and drink prepared by chefs at our ryokan. Bullet train, Kanazawa Castle, Kenrokuen Garden, Seafood dinner. After breakfast it's time to say goodbye to the mountains and people we've met. 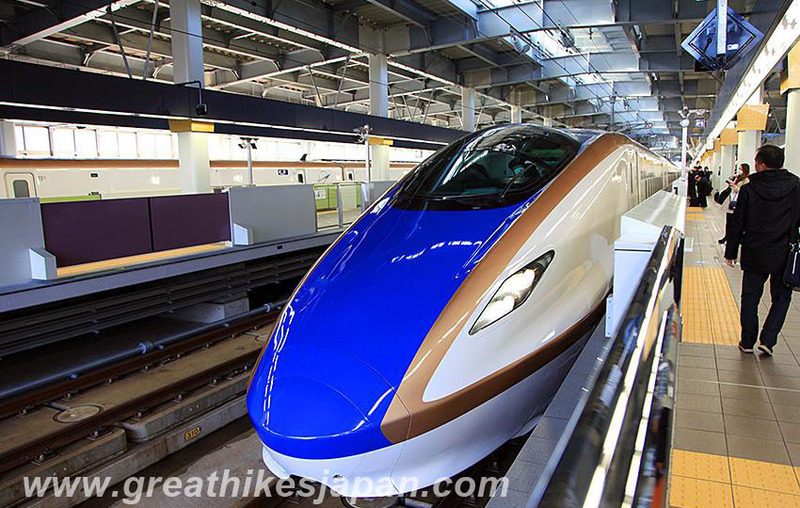 We leave Iiyama behind and travel to Kanazawa by Shinkansen, arriving in Kanazawa in 1.5 hours. 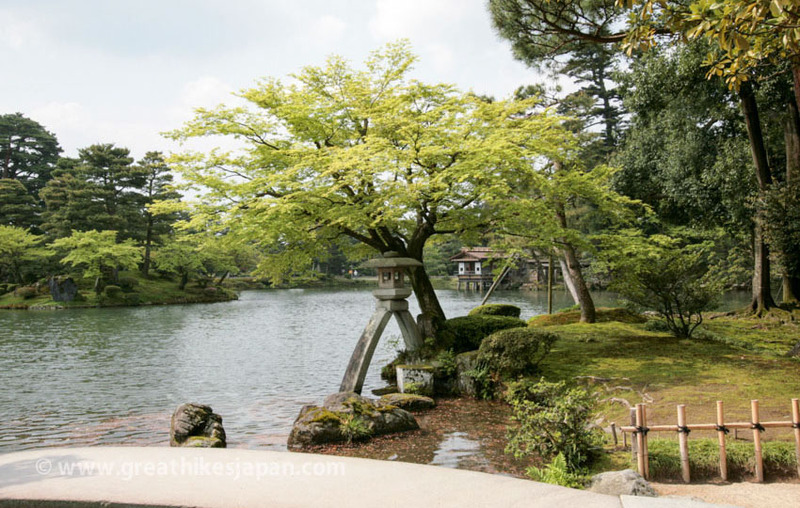 After checking our suitcases at the Hotel in Kanazawa, we will take a public bus to the most famous attraction in Kanazawa, Kanazawa Castle park and Kenrokuen Garden, one of Japan's "three most beautiful landscape gardens". The city boasts many historical attractions such as restored residences, the old castle town, such as the Nagamachi samurai district and Geisha entertainment districts. Enjoy the city that was built by Samurai. Dinner tonight will be seafood dinner. 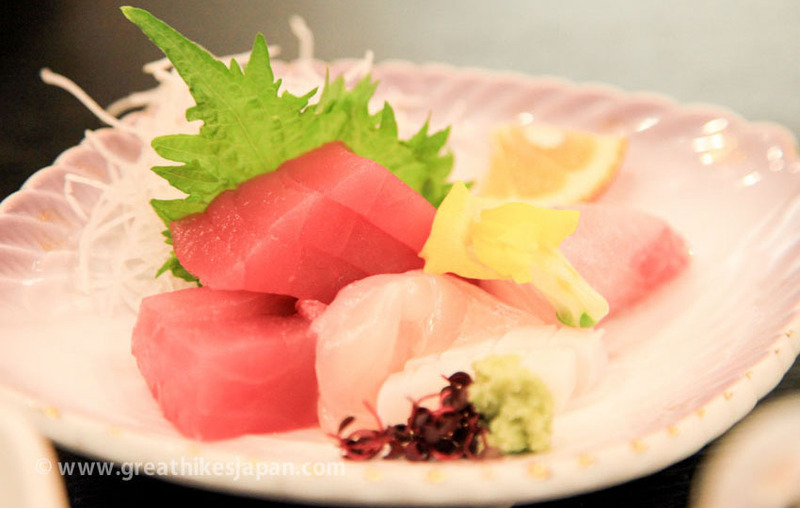 Given Kanazawa's proximity to the Sea of Japan, the city has access to a diverse variety of some of the best and freshest seafood in the nation. 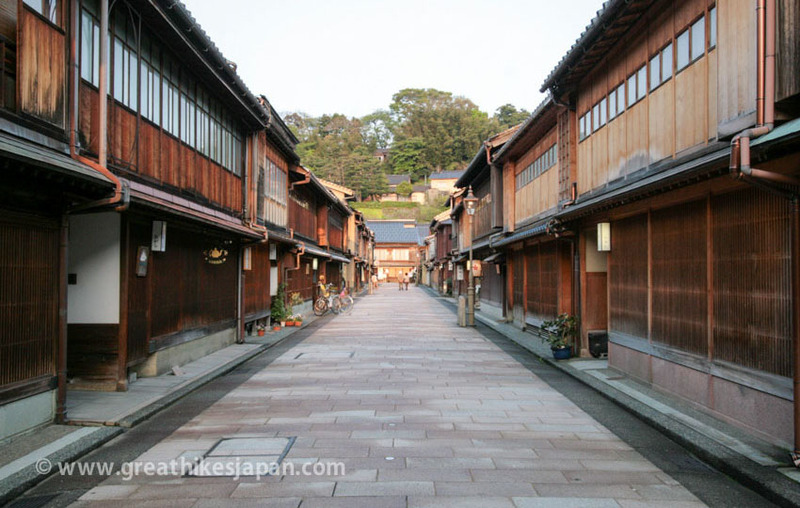 Kanazawa, Samurai house, Samurai district, Omicho Market, Higashi Cyaya, free time for shopping. 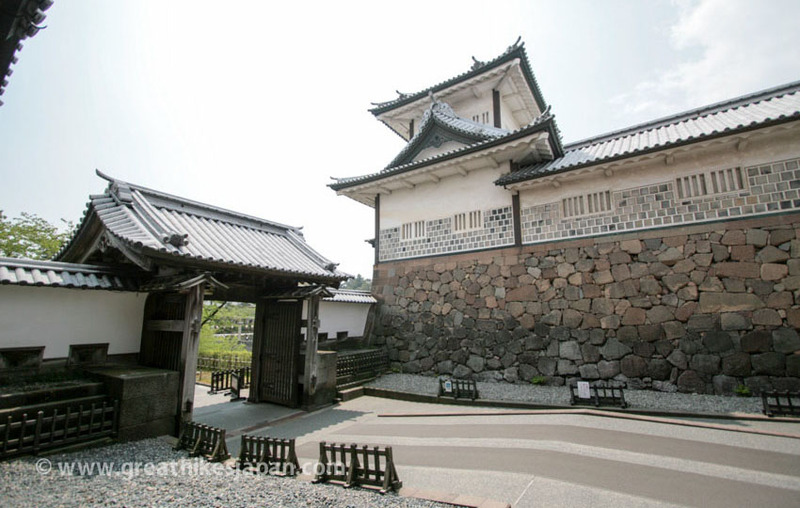 Kanazawa is considered one of the country’s best places to learn about samurai history. The town was spared from destruction during World War II and remains one of the best-preserved castle towns of the Edo Period(1603 and 1868). 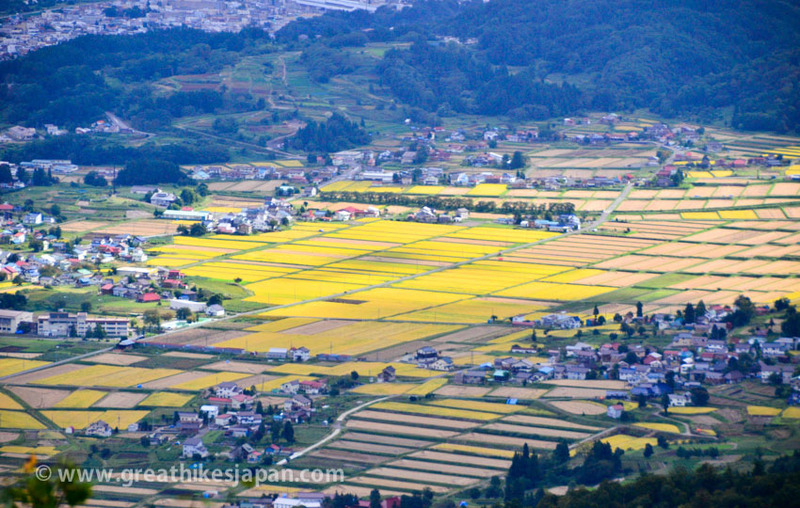 It’s one of the only cities in Japan to still have a samurai district. In the morning, we visit Samurai district, Nagamachi neighborhood,which was once home to upper- and middle-class samurai. The district’s cobblestone streets, towering mud walls and peaceful canal remain, and a couple of restored samurai houses are open to the public, including the Nomura House where we have a chance to visit. We can find samurai swords, armor and some paintings, gardens in the house. 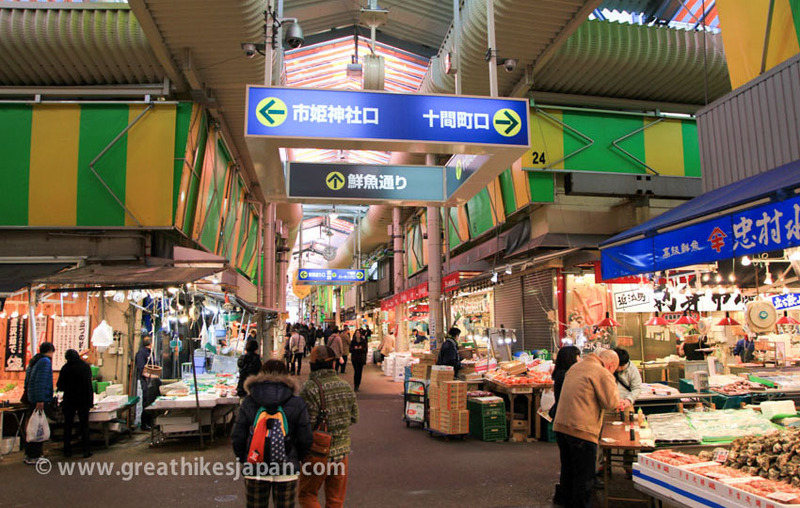 After the Samurai house, we will visit Omicho market, it is an exciting and colorful network of covered streets lined by about 200 shops and stalls. It is the best place to have lunch. In the afternoon, we will visit Higashi Chaya district, a traditional place of feasts and entertainment, where geisha have been entertaining people by performing dances and playing Japanese traditional musical instruments since the Edo period. It is lined with preserved houses from the Edo period, and features a variety of old tea houses, cafes, and many traditional crafts shops. Enjoy your free time here for shopping. 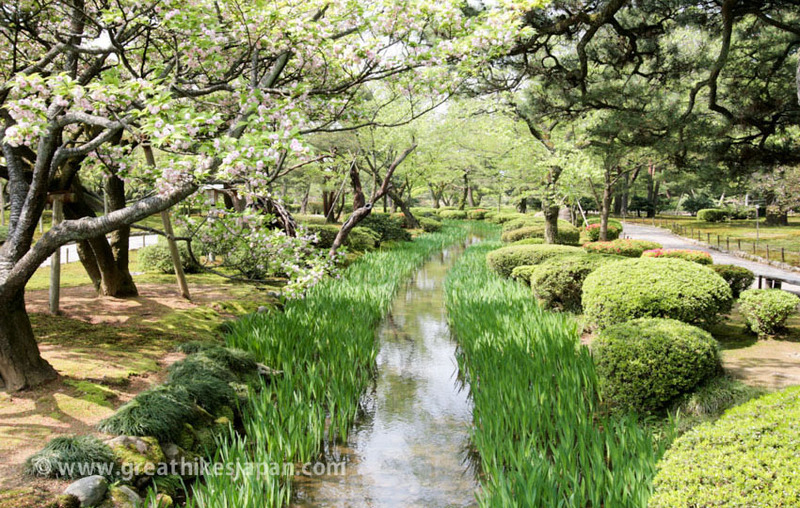 The rest of the day is yours to enjoy in Kanazawa. 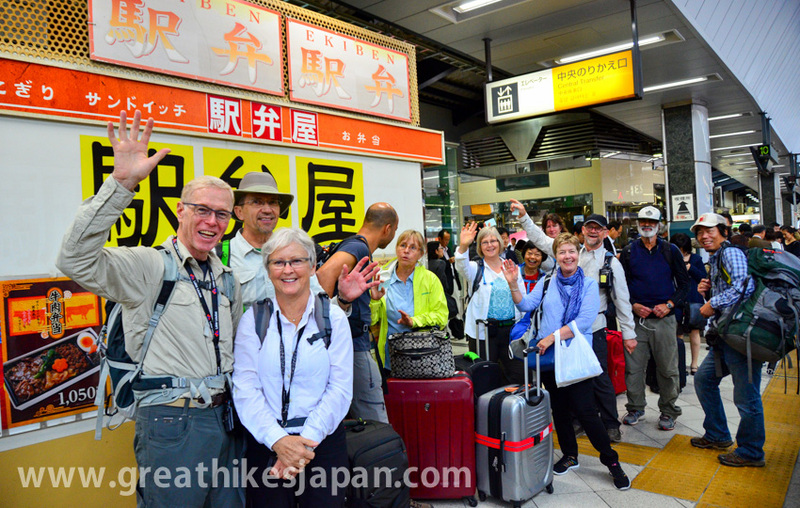 The tour leader will be more than happy to help you with all the information you need to be able to get around Kanazawa on your own. Tour concludes after breakfast at our hotel. If you would like to extend your time in this fascinating country, we have a selection of short tour options available on-demand. These are designed to assist you in getting the very most out of your visit.